So you thought you were finished configuring your AWS target, eh? I already posted a previous time on how to address a fault with the RMEM, but now we’re onto the WMEM. Wait, WM-what? I’ve been discussing for years about the importance of network to database performance, especially once I started working on VLDBs, (Very Large Databases) but its a topic that often is disregarded. Now that I’m working more and more in the cloud, it’s become more evident the importance of the network to our survival. 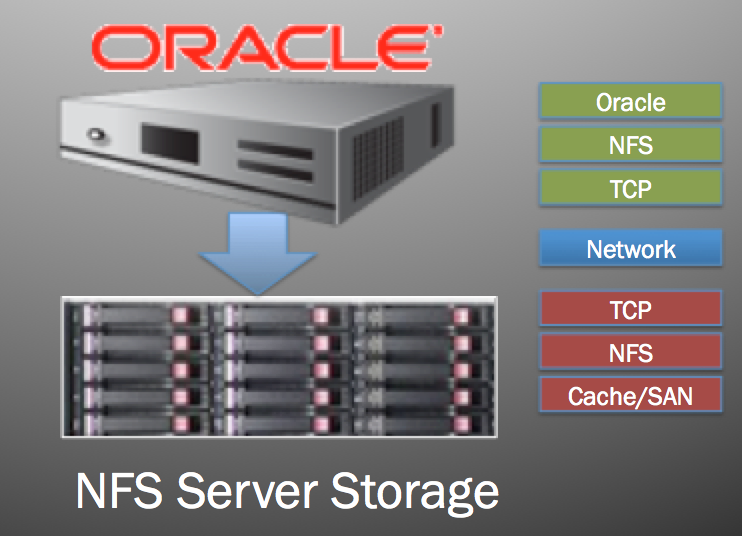 What happens with I/O requests over NFS and more specifically with Oracle? How does NFS affect performance and what things can be done to improve performance? What happens at the TCP layer when I request with dd an 8K chunk of data off an NFS mounted file system? I come across this SDU issue from time to time by doing oracle database consulting work and so i think it is worth to write a blog about it. Basically this blog is about how to verify that the SDU setting is considered (or not) at all. It also covers some basics and SAP suggestions. Lets' start with an explanation and some SAP information about the SDU, before we go on with researching and testing several settings. How do we know where latency comes from when there is a disparity in reported I/O latency on the I/O subsystem and that of the latency reported on the client box requesting the I/O. For example if I have an Oracle database requesting I/O and Oracle says an 8Kb request takes 50 ms yet the I/O storage subsystem says 8Kb I/Os are taking 1ms (averages) , then where does the 49 extra ms come from? 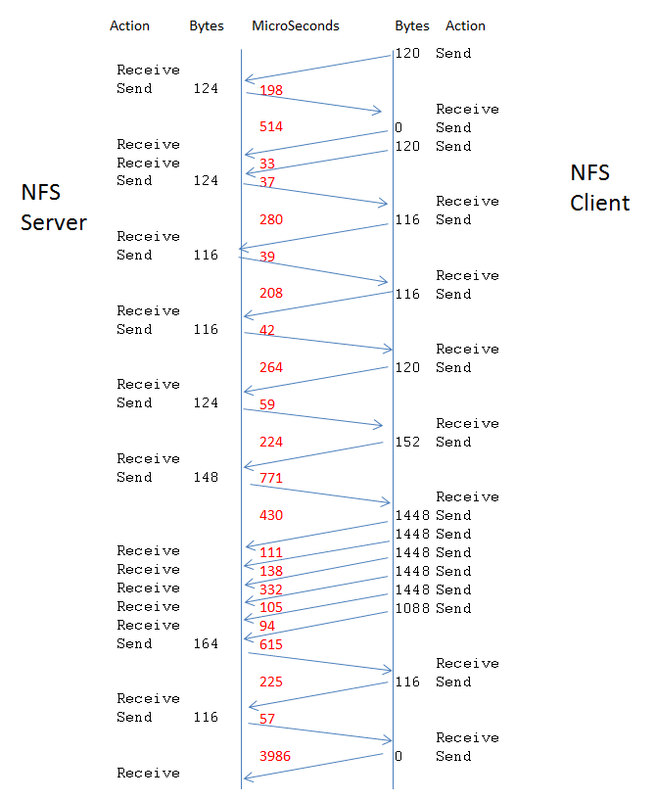 When the I/O subsystem is connected to Oracle via NFS then there are a lot of layers that could be causing the extra latency.